Dr. N.K. 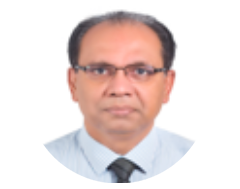 Gupta has been working in the UAE for the past 26 years since 1990, previously the Physician & Medical Director of Omran Medical Centre in 1990. He has a great experience in treating patients with hypertension, diabetes, hypercholesterolemia, asthma and other general ailments. He also does executive and pre-employment medical checkups. First Filipino Specialist A OB-Gyne in the UAE. Having 20 years experience in Saudi Arabia and 10 years in the UAE. Conducting deliveries and gynecologic operations at Central Private Hospital in Sharjah. Dr. Deepak Nathani MBBS, MS, Orthopedic Surgeon is in-charge of orthopedic department with more than 37 years of experience. 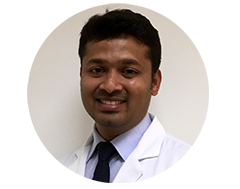 Dr. Deepak Nathani, after graduating did masters in orthopedic surgery with special interest in internal fixation of long bones. He worked as resident surgeon in orthopedics in various hospitals in England before taking up a job in Nigeria as senior orthopedic surgeon. He also worked as orthopedic surgeon in Central Institute of orthopedic, Safdarjang Hospital, New-Delhi, sponsored by (CSIR) Council for scientific and Industrial Research, India. He has various publications in national and international journals to his credit. 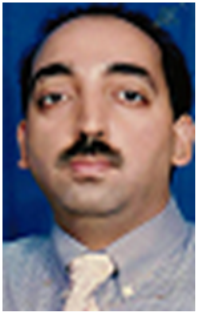 He was the Chairman of the Indian Orthopedic Society, Dubai, from 2002 to 2009. Consultation and management is provided for Fractures/dislocations, various types of arthritis namely Rheumatoid and degenerative. Acute and chronic low back (lumber spondylosis) and neck pain (cervical spondylosis), Fibrositis, Tennis elbow, and heel pain (calcaneal spur), Frozen shoulder, congenital abnormalities, birth defects as CTEV, delayed union, mal-union of fractures. Dr. Sharon Kurian is a General Practitioner who had completed her MBBS from cooperative medical college, Cochin University. She had been working in leading hospitals in Kerala, India since 2013. She can provide primary care and management of various medical conditions of adult and children and is well versed in English, Hindi and Malayalam. 30 yrs of Impeccable Medical Service 27 yrs of experience with tertiary care MOH ran Al Qassimi Hospital,|Sharjah. Proficient in Arabic, English and Several Asian Languages. Routine Neonatal Care Well Baby Clinic. All Vaccinations & Immunizations. Growth & Development assessment and monitoring Common Pediatric Diseases. Pediatric Asthma & Allergic Diseases. Pediatric Obesity & Nutrional Disorders. Behavoural & School Problems. Specialize in Smile designing. Irregular teeth correction(Spacing, Crowding etc.) for Kids and Adults. Using Braces.... Ceramic Braces Metal Braces/ Colourful Braces Lingual Braces Damon Braces/ Self Ligating Braces Aligner Space maintainer, Dentofacial Orthopedics and Preventive treatment for Kids Surgical Intervention for Developmental Jaw size discrepancy. TM Joint disorders (Clicking Sound in Jaw Joint on Mouth Opening and closing). Dr. Reema Surej, who did her B.D.S from the Oxford Dental College, Bangalore, India (2009) had been working in India for 6 years & started working in UAE since 2015. She has extensive experience in doing procedures like: Dental Restoration, Whitening Procedure, RCT, Composite Filling, Extraction etc. She can also undertake aesthetic dental procedures. He has more than 5 years of clinical experience working in India, Srilanka and UK. Over these years he has specialized in management of orthopedic conditions, Spinal disorders, Sport injuries and Post operative Rehabilitation. He has also worked with Football & Rugby teams, Rowing club of Srilanka and Middlesex cricket county club, London. His sport and exercise rehabilitation background helps the patient to have a most effective rehabilitation strategy, which is aimed at get them back to full function and beyond.